“It is commonly called Camas or Le Camas and so the name had degenerated into Lickomas amongst those who are ignorant of the origin of the name. It is a bulbous plant, bearing a spike of beautiful blue flowers, from 6 to 12 inches in height, belonging to the Lily family. The bulb, which is about the size of a small Hyacinth, is a common article of food among the Indian tribes of North America. 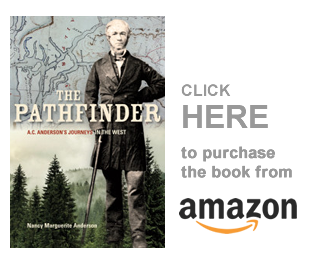 “I am not aware of the limits of the territory in which it grows, but certainly in British Columbia, with which I am at present dealing, it is common everywhere where the land is sufficiently clear of trees and the soil rich enough, a rich black loam in open country being its natural habitat. The women go out when the plant is in bloom and with long, sharp, slightly curved and flattened , tough sticks dig up the bulbs, which are from 4 to 5 inches in the ground. These are conveyed to a kiln, 10 feet or less in diameter, and there cooked, after which the bulbs are divided among the contributors, who place them in baskets and store them away for future use. “Methods of collection and preparation of the bulbs vary according to tradition, but most groups dug up the bulbs during or after flowering, between May and August, and steamed them in pits… Among the Vancouver Island Coast Salish, aboriginal harvesting and crop maintenance practices for camas can be termed semi-agricultural. Large areas around Victoria, such as the grasslands of Beacon Hill Park, and the small islands off the Saanich Peninsula, were frequented each year by the Saanich and Songhees peoples. They divided the camas beds into individually owned plots, passed from generation to generation. Each season, the families cleared their plots of stones, weeds and brush, often by controlled burning. Harvesting took several days, with entire families participating. The harvesters systemically lifted out the soil in small sections, removed the larger bulbs and replaced the sod. Every year, in May, I begin to post pictures of the Camas on various Facebook pages where the fur trade descendants gather, and we all tell our stores of Le Camas. I will do the same next spring. It is our tradition. 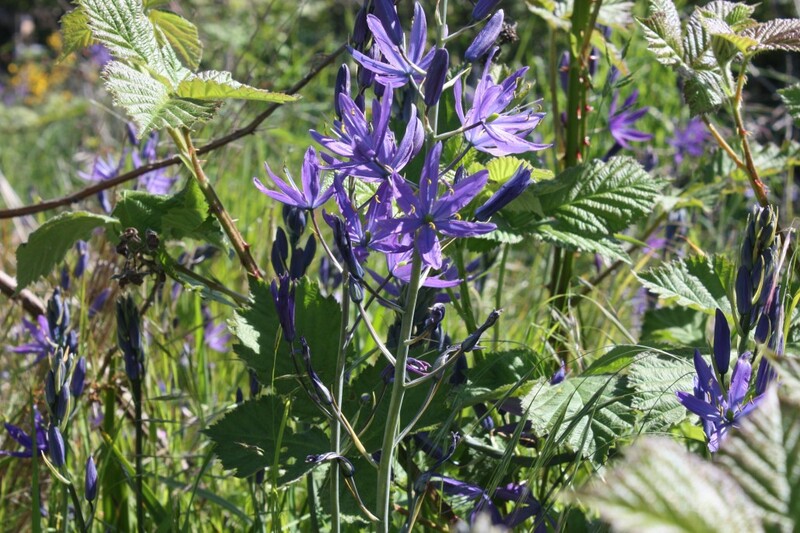 Since writing this post I have discovered some of the little camas — here is the link to that post: http://nancymargueriteanderson.com/little-camas/ I am also keeping an eye open for Death camas, but I have not seen them. If anyone in Victoria knows where they grow, please let me know. Copyright Nancy Marguerite Anderson 2013/2014. All rights reserved.